The word ‘Advent’, from the Latin adventus (in Greek, parousia), means ‘coming’ or ‘arrival’. 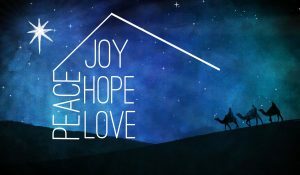 The Advent Season is focused on anticipating the arrival of Jesus as Messiah. The worship, scripture readings and prayers not only prepare us spiritually for Christmas (His First Coming), but also for His eventual Second Coming. Since Advent looks forward to Christ’s birth and Incarnation, it is an appropriate way to begin the Church’s New Liturgical Year. 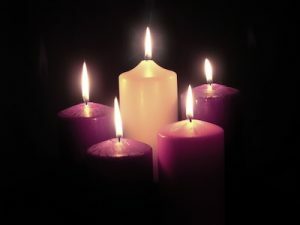 However, Advent is not part of the Christmas season itself, but a preparation for it. The Advent Jesse tree reminds us of the people, prophesies and events leading up to Jesus birth and especially the Prophet Isaiah’s prophecy: “A shoot shall grow out of the stock of Jesse and a branch shall grow out of his roots.” Jesse is the Father of King David and King David was promised that his throne will last forever. This is only made possible through Jesus who is a direct descendent of King David through his foster father St Joseph, his legal father and guardian. The gifts will go to the SSVDP Special Works conference, ‘Our Lady of the Wayside’, reaching out to homeless and the poor.